Adding optional extras for flights can now be as easy as choosing the right travel insurance policy after the Civil Aviation Authority (CAA) published a guide on fees charged by airlines. A comparison document which looks at the prices of extra fees, such as reserving specific seats and ordering an in-flight meal, can be found in the CAA passenger portal at www.caa.co.uk/passengers. 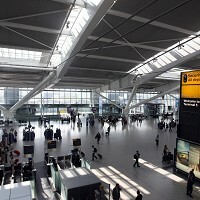 Andrew Haines, chief executive of the CAA, said that passengers in the UK were offered "excellent choice" in the aviation industry amid different business models employed by airlines. He said: "To really benefit from that choice consumers want to know the full price picture. For some passengers and airlines the headline ticket price will be the most expensive part of the booking whilst for others the impact of optional fees and charges can change their view of the best overall price. "Our table allows passengers to easily compare the optional fees that airlines charge and it's important to consider those charges alongside the ticket price and the extra charges that could be applied before making their booking."